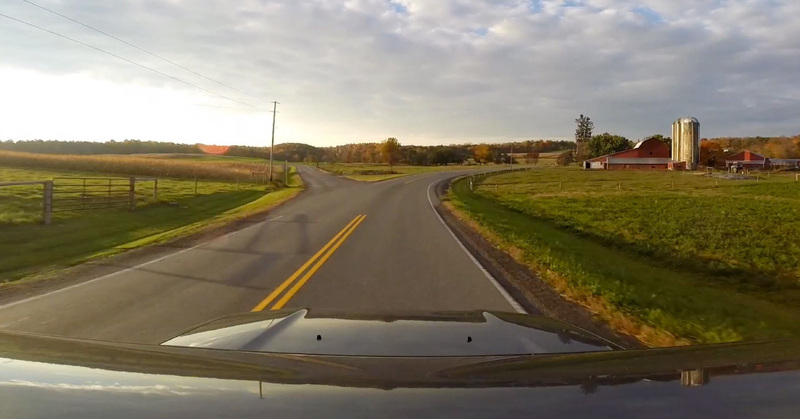 So you’re new to using your GoPro camera… you came to the right place! 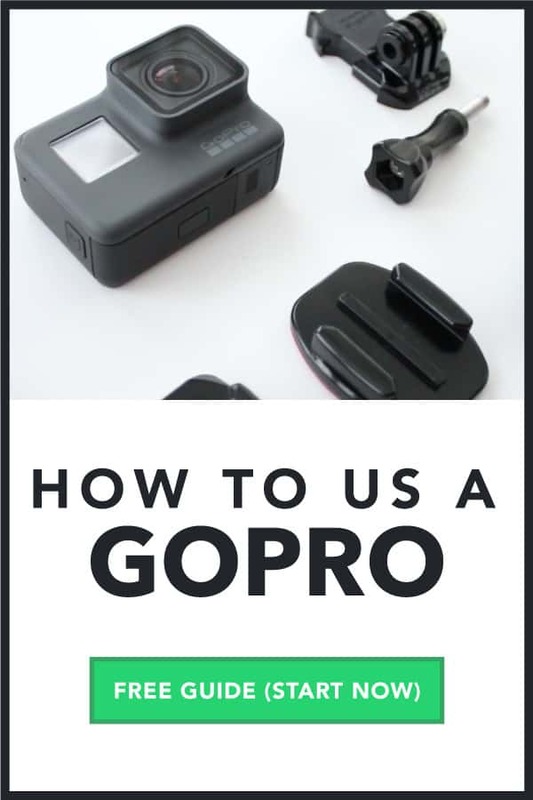 On this page, you’ll find tons of tutorials related to GoPro for beginners, and you might also be interested in my Getting Started Series. 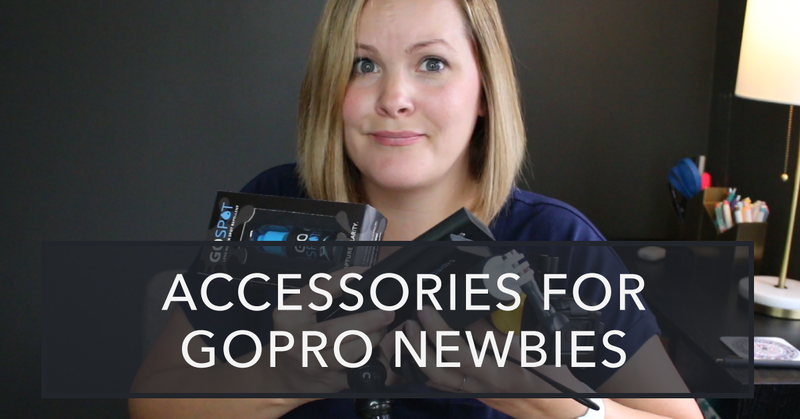 Related: you might also be interested in the 5 GoPro Accessories Every Newbie needs. Are you subscribed to the VidProMom YouTube channel? I post new videos and tutorials over there every single week. Click here to subscribe now so we can stay in touch. The GoPro Camera is small and mighty with only a couple of buttons, but for those wondering how to use a GoPro camera, it can be pretty overwhelming. In this post, I’ve laid out everything you need to know about how to use your GoPro. 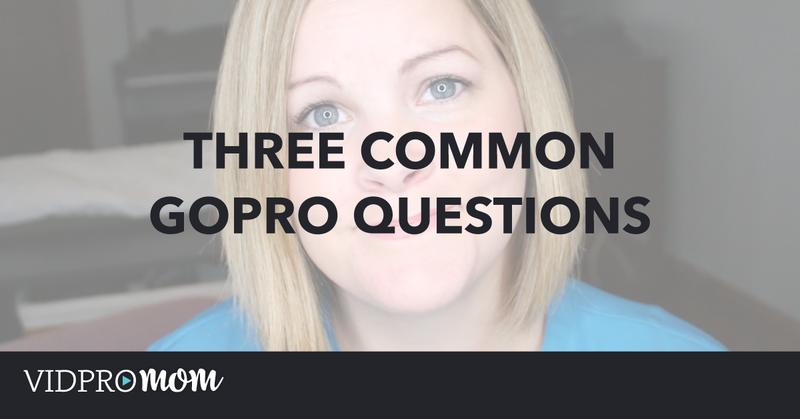 With videos, instructions, and direct links to the best GoPro accessories, I think you’ll find all your questions answered here on VidProMom! I created a 30-part video series on the VidProMom YouTube Channel for GoPro Beginners! It’s called 30 Days of GoPro – a Guide for Beginners and it’s totally free (and still relevant, even if you don’t use a Hero5). 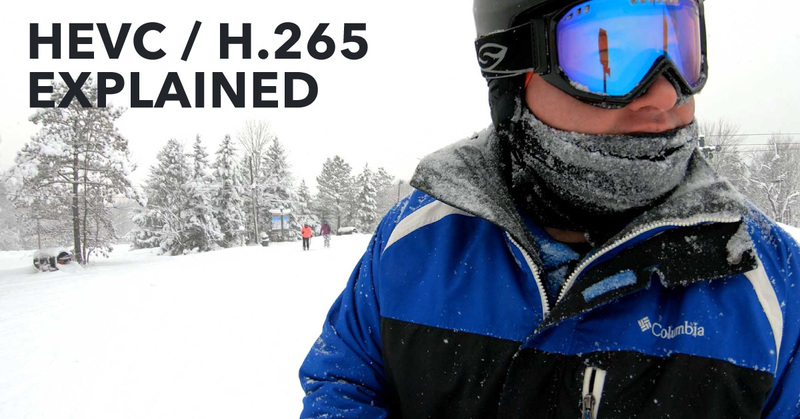 This series is useful whether you’re using a Hero 5, Hero 6, or new GoPro Hero 7. This is the ultimate tutorial on how to use a GoPro because I’ve laid it all out, piece by piece. 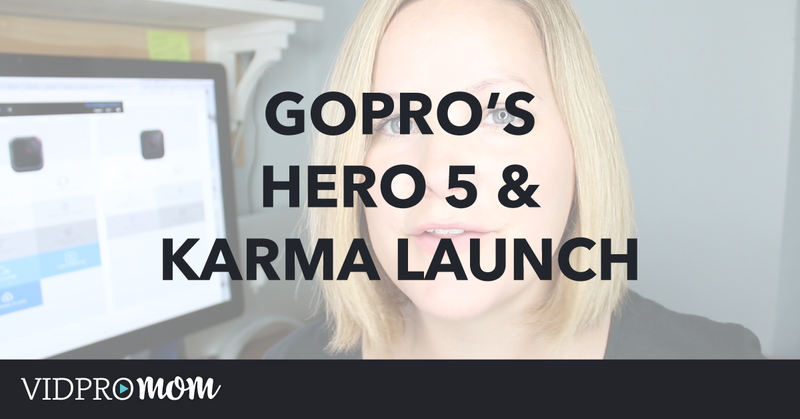 If you’re confused to struggling with how to use a GoPro camera, this series is for you! Just hit play! I will place the entire series right here on this page, so you can watch every video in order and follow long. For your convenience, I’ve also posted some of the information and direct links mentioned in the series! check with gopro.com to verify if these cards will work in your camera. There is a lot of confusion around GoPro Memory cards. I have written a whole post on this topic and included a video as well. You can read it here and watch the video as well if you’re still confused. 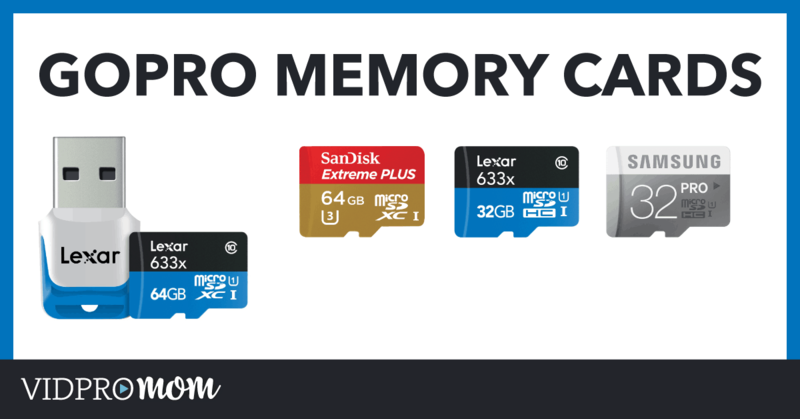 You should always double check GoPro’s Memory Card Compatibility Chart to see if the SD card you’re thinking about buying is compatible. 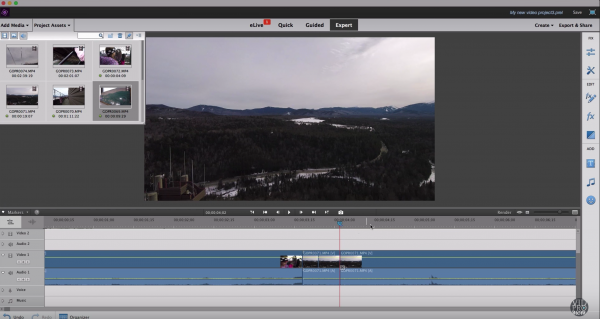 Which video editors are best for beginners? In this GoPro Hero 5 Black for Beginners series, I cover everything you need to know out of the box, plus created a GoPro Settings Cheat Sheet that I want you to have! It’s a one-page printable reference you can keep with your GoPro gear or save it to your phone, or iPad so you have it handy. 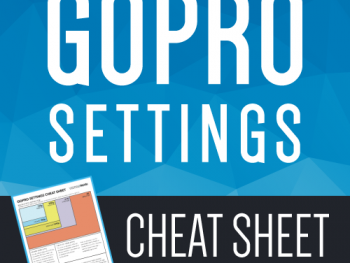 We’ll cover all the GoPro settings you’ll ever want to know about through this month, but go ahead and download the cheat sheet now so you have it handy! Many people realize they want or need to learn how to edit videos when they notice they have videos or clips they need to combine or merge. While video editing is a really broad topic, this post is strictly for beginners who aren’t sure how to edit videos or where to even start! If any of that sounds like you or a close resemblance to you, then you’re are in the right place! Because that’s what I do here on at VidProMom. 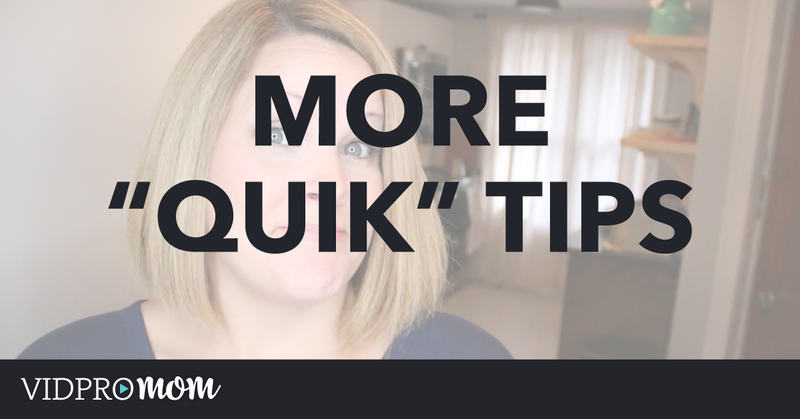 But I’ve never really gone back to the basics for those of you who are completely new to the world of creating videos, and I get a lot of questions about how to edit videos, so I think it’s about time! I admit that “how to edit videos” is a very broad topic, so this video is meant to be a starting point for video editing for beginners (not a complete how-to guide!). With that said, if you have any questions about how to edit videos, drop them in the comments below and I’ll add them to my list of topics to discuss in future videos and blog post. Make sure you subscribe to my channel so you don’t miss any of them! Before we get too far into this, I have a challenge for you! Coming up very soon, I have a beginners video editing challenge. It’s free 5-day challenge specifically beginners, to kinda help you get a jumpstart on your video editing. You’re either combining or merging clips together into one cohesive video that you can upload to Facebook or YouTube. You’re clipping and cutting out bits and pieces or long sections of a video clip that you don’t want in a final video. In most cases though, it’s both. You’re putting clips together on a timeline, and you’re taking out parts of the clips (maybe small parts or big parts) in order to achieve one single, cohesive video file that you can either share with friends an family or post it on YouTube or Instagram. But in order to get to the place where you can actually work with your video clips and do some video editing, you have to make a couple of decisions about hardware and software. So let’s start with hardware. You either need a computer or a mobile device. I published a post recently giving a rundown of what to look for in computers for video editing, or how to tell if your computer is up for the task of editing. So I won’t completely rehash that here, but you can check that post out here (opens in a new tab). Personally, I prefer a computer vs. a phone or tablet, but it’s a personal choice. It’s faster and easier for me, and more enjoyable on a big screen. Now if you have just a handful of clips on your phone that you need to merge together, it’s probably just as easy to use an app for that. Or if you have one clip that you need to trim off the very beginning or the very end, or extract just one part of the clip, you should be able to use a native photos app on your phone for things like that. For some silly reason making a decision about video editing software is like the most debilitating thing in the world, because there are SO many options and price ranges. And I think it’s hard to make a decision about something and spend your time, energy, and money on something when you don’t even really know what you’re doing and if that software is ultimately going to be the best option for you. On my Video Editing Software page, I list (almost) all of the video editing platforms that I have either used and recommend or have seen other people use and recommend. If you are totally brand new to video editing, I highly recommend you stick to the basic software. For example, iMovie and Premiere Elements are great for beginners, but they have more advanced functions so you can “spice things up” a bit once you’d learned the ropes. But the bottom line is: choosing video editing software or apps is a personal choice, and it’s like buying a car. You kinda have to feel it out a little bit and give it a test drive. 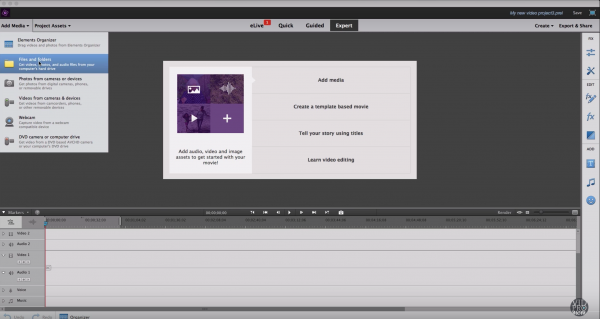 So the BEST video editing software is going to be the one that you decide is going to be the best for you. So once you have a computer or device (if you must) and you have some software (or an app)… now what? You need to get your footage off of your memory card and onto your hard drive (don’t try to do this with the video files still on your memory card, it’s not a good idea). You can use a USB adapter or you might be able to connect your camera to your computer to do a file transfer. You might be able to use Google Drive, Dropbox, or Airdrop to transfer files from your phone to your computer as well. 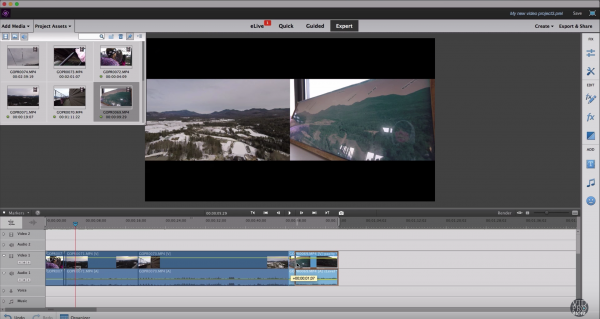 Next, start a new project in your software and import your footage. There’s probably an import button or “add media” button. The simplest way to go about the actual video editing where you working with your clips, is to drag your clips to the timeline in the order that you want them in, then go through the timeline, watching your clips in the playback window, and stopping to either cut parts out that you don’t want in your final video, or trimming the beginning or ends of your clips. When you are happy with what you have, you have to export your project in the program puts everything together into one video file–usually an mp4 file–that you can actually do something with. You can watch it, share it, upload it, whatever. Now obviously there are a LOT of things that you can do with your project and your video clips that I didn’t tell you about because I wanted to show how simple video editing really is at the basic level so that you can get started without overwhelming yourself with bells and whistles and special effects. Now in the 5-day challenge that I told you about at the beginning of this post, you will learn how to get started with video editing (a little more in-depth than what I went over in this post), as well as how to shoot videos to make them easier and faster to edit. We’ll also talk about where to find background music, and how to edit your clips in a way that makes your video really fun to watch without spending a whole day at the computer editing! So if you want to join me for that challenge, you can head over to vidpromom.com/challenge! It’s totally free, it’s for total newbies, and all you have to do is drop your email address on the signup page and I’ll send all of the details to your inbox. I wish I’d had a resource that filled me in on the basics of video editing before I dove in and figured it out on my own. So, here we are! I hope this post was helpful for you. Be sure to subscribe to the VidProMom YouTube channel so you can catch up on video editing tutorials and other videos that I upload weekly! 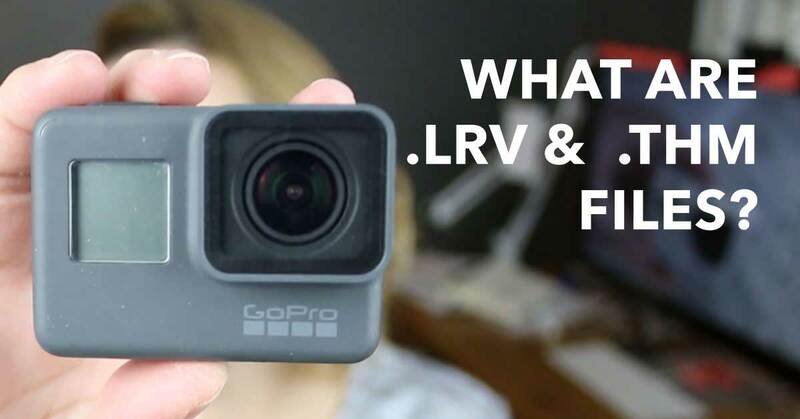 What are LRV and THM Files on my GoPro? Well, Megan, and anyone else wondering the exact same thing, it does depend a lot on what you plan to do with your GoPro but there are a few basics that you want to be sure and pick up if you’re a brand new GoPro owner, no matter WHAT you plan on shooting. 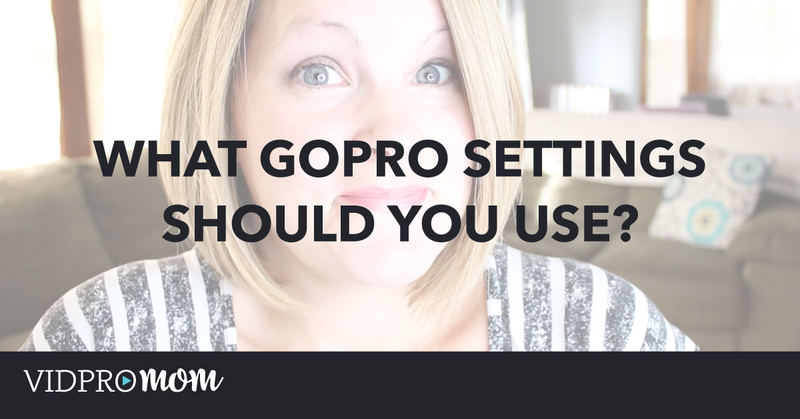 Have you heard about my GoPro Settings Cheat Sheet?? This Cheat Sheet is a one-page printable reference you can keep with your GoPro gear or save it to your phone so you always have it handy. 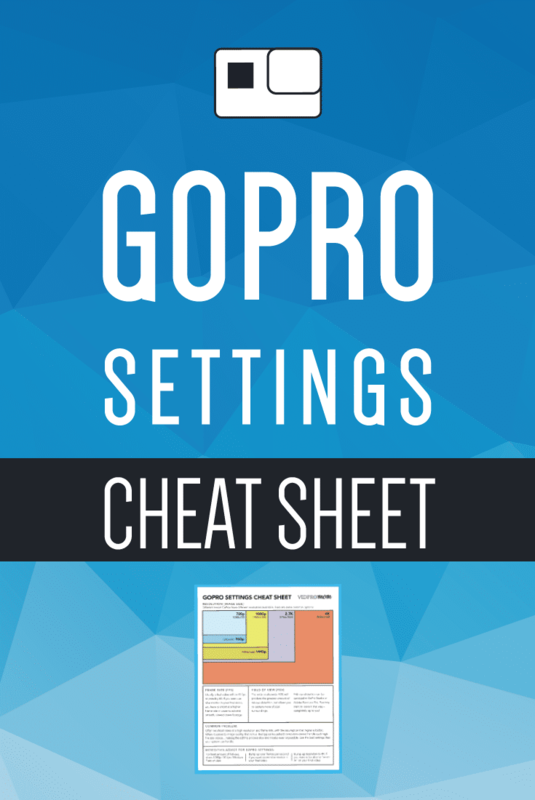 I cover all the GoPro settings you’ll ever want to know in my How To Use a GoPro Series, but go ahead and download the GoPro Settings Cheat Sheet now so you have it handy! Curious about how to connect your GoPro Hero to your iPhone so you can use the GoPro app? The instructions for how to connect GoPro to iPhone are detailed below! GoPro Memory Cards – What’s the Best SD Card for GoPro? 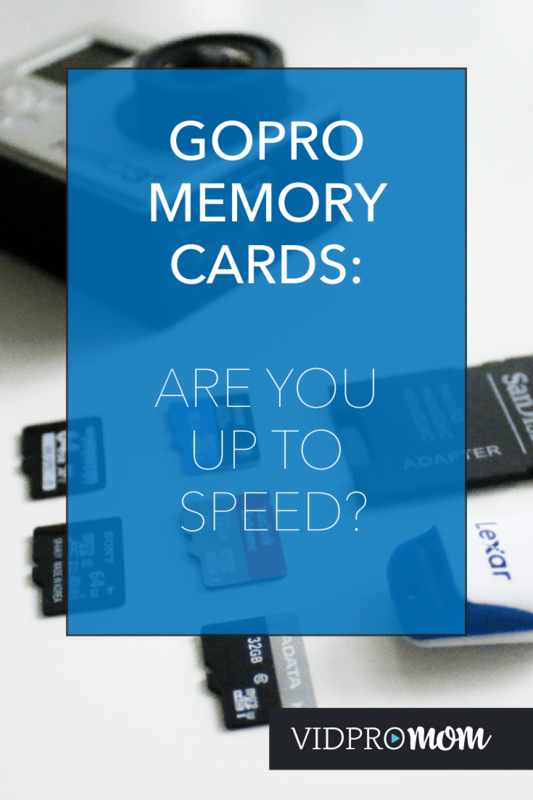 If you are completely new to GoPro memory cards, you need to know a couple things before you buy one. Even if you’re not new, it’s good to know what to look for in SD cards for GoPro because not all memory cards are compatible with your GoPro! I will tell you exactly what is the best SD card for GoPro, but it’s important to know the differences yourself as well. You never know when you might find yourself out with a full memory card, or you forgot yours at home, and you need to buy another when you’re on the go. 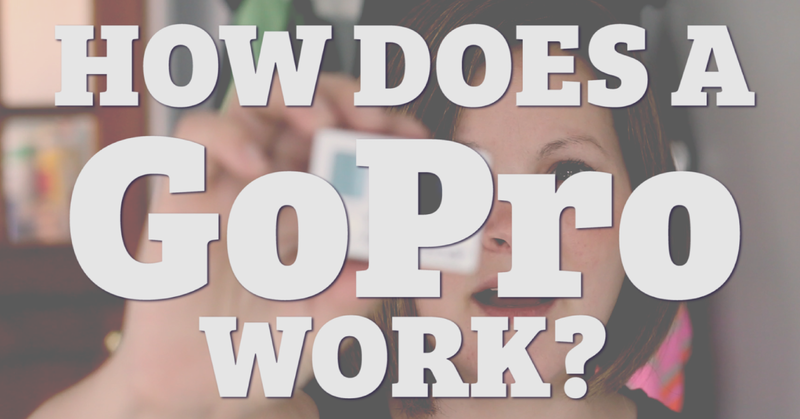 As I explain in my video, not all GoPro SD cards are the same. Let’s sort it all out! How Does a GoPro Work? Wowie! My GoPro giveaway was so much fun! Thanks to all of you who entered to win a GoPro Camera. I wish I could send one to all of you. 🙂 I’m waiting to hear back from my winners, and when I do, I will announce the winner here, as well as on my Facebook page. Soooo… if you entered… go check your email yo! Congrats to Jennifer G and her sons, Hunter & Trent in Summerfield, Florida as well as Alysha S in Brockton, MA. 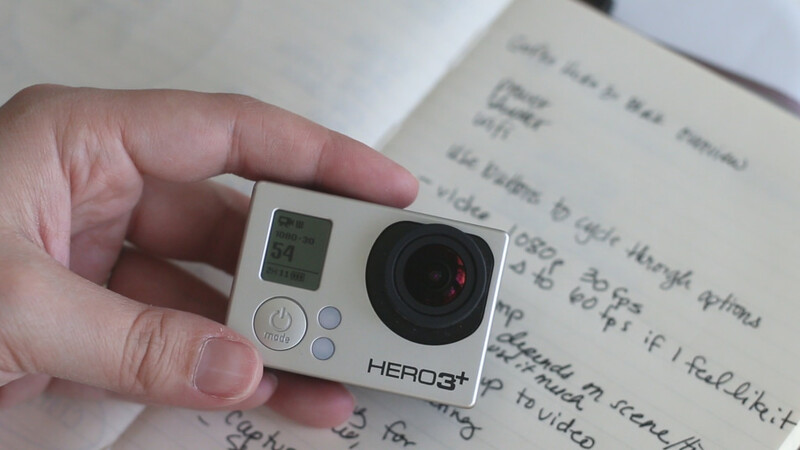 Can’t wait to see what “firsts” you create with your new GoPro Hero Cameras! So, how does a GoPro actually work? It’s one of those things you have to kind of play with and experience for yourself to see how it works. There is only three buttons, but there’s TONS that a GoPro camera can do so… I get asked this question a lot: “Buut… how does it actually work?”. So I thought I’d show you how mine works. I have a GoPro Hero3+ Black Edition. It’s not the newest GoPro on the market (I’ve had it since 2013). You’ll have to watch the video to really get a feel for it. I go through what the buttons are, and how to go through the settings… it’s hard to explain in photos and words. So if you’re thinking about getting a GoPro for your family but you’re not really sure, I hope this overview helps you get a grasp on the camera itself. 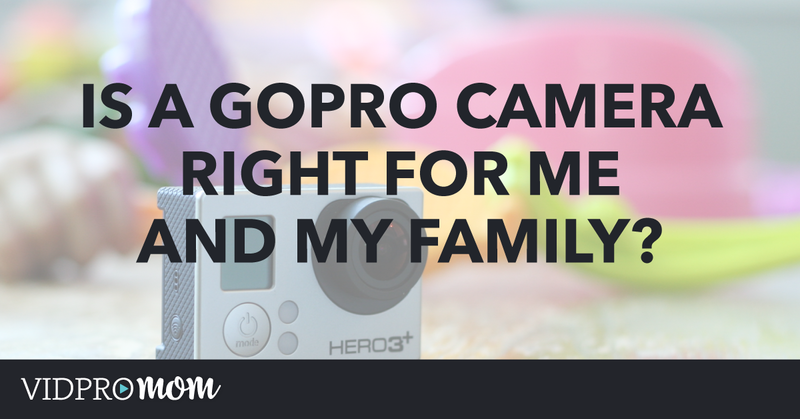 Which GoPro To Buy For a Family Camera? Read further for an outline some of the pros, cons, features, and prices of the current GoPro models on the market and which ones are best suited for family use. I recommend the Hero4 Silver for a family camera. 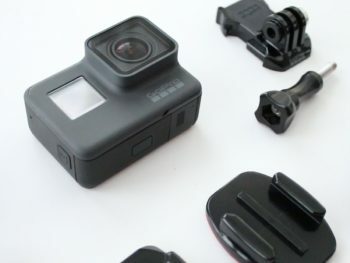 It’s part of the Hero4 family released in late 2014, so it’s the “latest and greatest”. The biggest selling point for me is the LCD camera on the back side. This camera is $399 on Amazon. 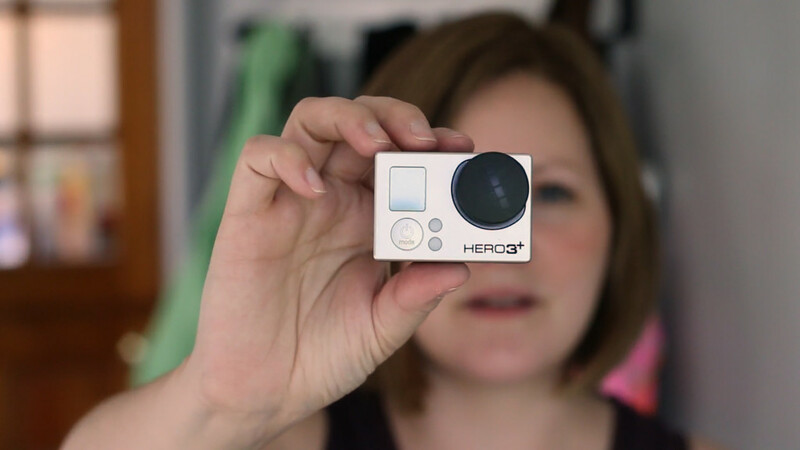 If you’ve never used a GoPro before, I think you will be deeply disappointed (and frustrated) by not having the LCD touch screen to see what you’re shooting and adjust settings, and that’s the reason I recommend the Hero4 Silver as a family camera. 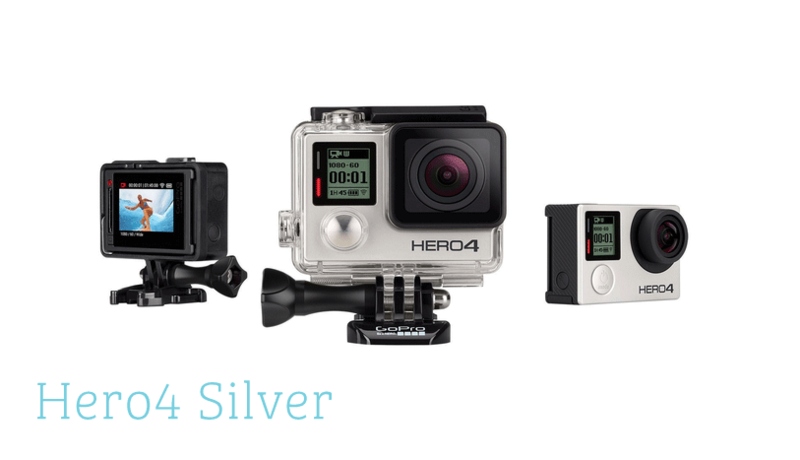 If the $399 Hero4 Silver is too steep for your family, try going for the Hero3+ Silver. It still shoots in HD (1080p), although there are fewer options for resolutions and frame rates. But it certainly is capable of capturing your vacations, adventures, or everyday family life. 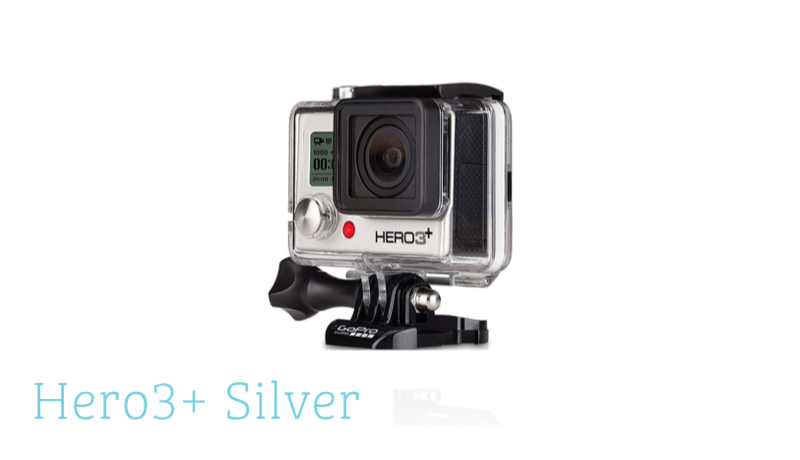 The Hero3+ Silver is $299, which is a fair price for a waterproof digital family video camera if you ask me! I feel like I should give you three choices here, but truthfully, for a family video camera I would recommend the Hero4 Silver or the Hero3+ Silver and that’s it. What about the Hero4 Black, the Hero3 White, and the Hero? While the Black is too much camera for family use, the White and the basic Hero are just not enough. My take? If you want to create awesome home movies, buy an awesome camera. If you want to create half-assed movies, just use your iPhone. So stick with the Silver and you can’t go wrong. Happy GoPro shopping! This post contains affiliate links. Read my affiliate disclosure here. 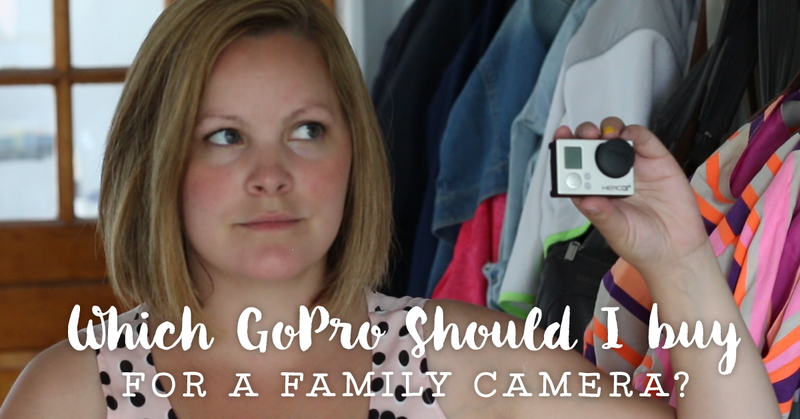 Should I Buy a GoPro as a Family Camera?